Australian Nature Guides are Carnarvon Gorge's only specialist guiding service - with twenty years experience based in this iconic Queensland landscape. Their small group tours deliver big experiences. Walking with their highly trained guides is like stepping into an Attenborough documentary. You won't miss anything. Meet the smallest bird in Australia and the tallest orchid on the same track. Then discover how they fit into the Gorge's ecosystems. Encounter more of the local creatures (great and small) touring with expert wildlife spotters. Discover another side to the Gorge on their exclusive Night Safari Tours. Explore ancient Rock Art sites, with a guide fluent in the Archaeology and Anthropology of Central Queensland. Get access to exclusive locations and experiences on private tracks and trails. Enjoy a touch of the simpler life with some billy tea in the bush. Or salute the sun at dawn or dusk from their secluded lookout over the Gorge. Bring your camera along for a hands-on exploration of the Milky Way on their Stargazing tours. Learn how to take stunning images of the night sky, while using telescopes to travel out beyond the solar system. Australian Nature Guides don't just show the Gorge, they know the Gorge! The Lower Gorge Explorer Tour is for those that wish to truly understand Carnarvon Gorge's landscapes, plants, animals, people and how they all fit together. The tour takes in the greatest diversity of experiences possible in a moderate day's walking. 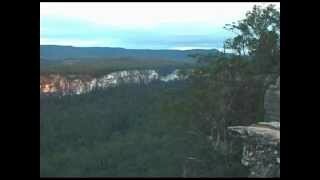 It has been operating continuously for 17 years in Carnarvon Gorge - a track record no other tour operator can come close to. Watch the warm morning light colour the cliffs as you search for wildlife and unusual plants along the path into the Gorge. Listen to the chorus of birds as they glean breakfast from the forest. Hunt for tiny orchids in moist undergrowth. At the Art Gallery, explore an internationally significant Rock Art site from both an indigenous and western perspective, gaining a deeper understanding of its place in traditional and modern culture. Put the kettle on in Ward's Canyon's unique microclimate and enjoy a hot drink next to a colony of rare king ferns. Wander into the magical atmosphere of the Amphitheatre, whose sandstone walls record over two million years of geological history. Relax in the Moss Garden with the soothing sound of water falling out of the cliffs from the largest spring in Carnarvon Gorge. If you are interested in incredible wildlife encounters, this is the tour for you! Experience a side of the Gorge that few others will, as you venture out in search of nocturnal wildlife. 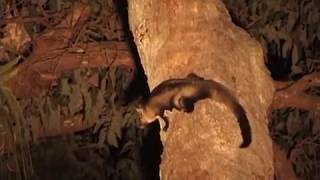 Five of Australia's six species of marsupial gliders occur in Carnarvon Gorge's forests, including the metre long Greater Glider and the charismatic Yellow-bellied Glider. The Carnarvon Night Safari Tour is your best chance to see these furry aerobatic animals in action. Along the way, you'll also have a chance to encounter echidna, platypus, owls, frogs, bats and some of the creatures that come out after dark in Carnarvon Creek. Great fun for the whole family.